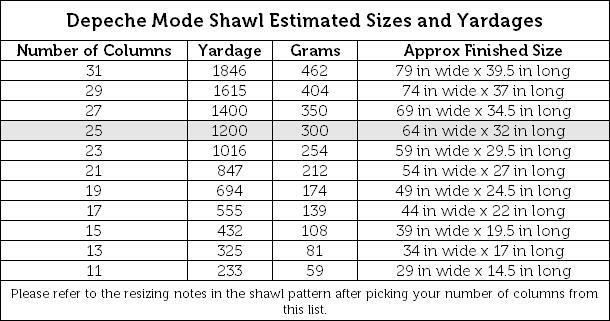 Since several people have been asking nicely since the shawl was released yesterday, I went ahead and made an estimated size table. Note that you want to get as close as possible to the specified gauge to make these estimates more accurate! The highlighted size is the one given in the pattern, and the one I’d recommend. Remember, you can get the pattern in the Summer 2011 issue of Tangled!